Gov. Greg Abbott has said in the aftermath of Hurricane Harvey that a second special session to address the needs of communities along the coast is not necessary while paradoxically pointing out that fiscal hawks have been wise to leave plenty of cash in the Economic Stabilization Fund, or “Rainy Day Fund.” That, of course, is money that cannot be accessed without the consent of two-thirds of both houses of The Legislature. Put another way, there is no mechanism by which Abbott can unilaterally spend any of it. It is a bit astounding that the conversation about a second special session has been almost exclusively focused on spending tax dollars. Lawmakers could, if called back by Abbott, swiftly do any or all of the following to offer some immediate relief for affected counties: Suspend the state gas tax for 90 days up to 6 months (and call on Washington to do likewise), suspend sales taxes for needed building materials, and pass legislation on expedited building permits. The latter would certainly be in keeping with the war on local governments that seems to be on hold during the response to Harvey. Abbott’s comments shutting the door on a special session are in direct conflict with the words of Senate GOP Caucus Chairman Paul Bettencourt, R-Houston, whose district was slammed by Harvey and who often happily carries the burden of floating trial balloons for Lt. Gov. Dan Patrick. Bettencourt suggested a special session could be necessary early next year, right before the election of consequence in Texas: The GOP primary. The Economic Stabilization Fund is the only significant source of cash available to lawmakers following the conclusion of the budget process. Well, either that or raising taxes, which is not about to happen. The estimated damage from Harvey could reach $200 billion while the ESF’s balance is projected to be around $10 billion – not even in the neighborhood of addressing the need. Still, a strategic withdrawal from the fund could help mitigate some of the economic damage while helping make the case that Congress needs to act in concert with Texas government by passing a clean relief package. During the first called session, there was a throwdown on the Texas House floor about whether to take money from the recharging account or from disaster preparedness funds to reverse some of the cuts to acute care therapies for disabled children first enacted in 2015. The House was unified on restoring the funding, but the idea went nowhere because it was not on the agenda of Patrick and Abbott. As has become customary with Abbott, a living cipher, House Republicans were forced to guess the method of finance the governor might prefer. Now, after Harvey, Democrats have perhaps ironically adopted the frame of the argument most often put forward by Tm Dunn’s Empower Texans: That the state’s savings account exists for rainy days. That argument in no way reflects the original intent of the Economic Stabilization Fund, which exists to smooth out revenues in order to maintain services when there are swings in the Texas economy. When the economy goes south, demand for government services always rises at the exact moment government is receiving less revenue. To now see folks like former DNC Chair Howard Dean undermine Abbott with an attack teed up by Empower Texans shouldn’t be too surprising. After all, it is a shared purpose of Democrats and third-party dark money “conservative” groups to make life harder for Republican leadership. During a manufactured crisis of his own making, the failure of Sunset legislation in the regular session, Lt. Gov. Patrick was at the zenith of his legislative power this year, successfully demanding a laundry list of “conservative” legislation on the agenda. But as much as some Republican members and folks in the lobby might be pleased to see him largely sidelined for now, Patrick should never be underestimated. As the headlines about Hurricane Harvey fade both nationally and in media markets around the state other than Houston and Corpus Christi, Lt. Gov. Patrick’s voice within the electorate that matters – GOP primary voters – will no doubt rise again as the spiritual leader of the governing party in this state. If Abbott eventually gives in to pressure to call a special session to address Harvey aid, waiting until the beginning of next year will have meant holding out long enough for Patrick to likely be in position to demand bathrooms, school vouchers, union dues, and more to be added to the call. It may be safe to say that whenever a second special could be deemed necessary, the extreme crisis created by Hurricane Harvey presents Abbott with sufficient cover to back away from the never-ending demand for wedge issues. Despite any pressure from Patrick, Abbott should be on solid ground arguing he won’t tolerate diversions from the immediate needs of Texans on the coast. 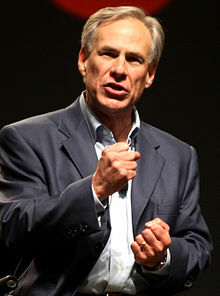 It is also now crucial for Abbott to concentrate on a core function of government, aiding the rebuilding effort, especially after his former priorities including insurance “reform,” property taxes and the decimation of the Texas construction industry with Senate Bill 4 were proven so misguided given the storm’s appearance in the weeks after lawmakers left town. This analysis first appeared on the Quorum Report. Join us there for daily coverage of Texas politics and government. Copyright 2017, Harvey Kronberg, www.quorumreport.com, All rights are reserved.